HMS Pegasus, British seaplane carrier, WW"
Mercantile hull purchased in 1914 by the Admiralty during construction for conversion into a Seaplane Carrier and to be named ARK ROYAL on launch. This ship had been laid down by Blyth Dry Dock on 7th November 1913 for use as a collier. She was the modified with bridge and machinery fitted aft to suit her new role. A flying off deck was fitted in front of the bridge with cranes installed for transfer of aircraft to and from the sea. This ship was launched on 5th September 1914 and completed on 10th December that year. After WW1 she carried aircraft to the Middle East and also acted as a minesweeper depot ship before being deployed for research and development of catapults and recovery of aircraft by warships. She was renamed PEGASUS in 1934 when her original name was selected for the Fleet aircraft carrier then being built. The new name was first used for an RN warship when given to a Sloop in 1776. It had previously been borne by a seaplane carrier in 1917 which was sold in 1931. In March 1942 the ship was 'adopted' by the civil community of Saddleworth, Yorkshire after a successful WARSHIP WEEK National Savings campaign. Badge: On a Field Blue, a winged horse rampant Gold. September Deployed with Home Fleet at Scapa Flow. January Home Fleet deployment in continuation. November Under refit and conversion for new role. December to carry Radar Type 279B when this became available. SEA by D. Howse and companion volumes sponsored by the Radar Trust). January Refit and conversion in continuation. April On completion carried out post refit trials and prepared for convoy defence duty. May Deployed for defence of Atlantic convoys. January Atlantic convoy defence in continuation. April Under refit. Radar Type 279B installed. May Resumed Atlantic convoy defence duty. Atlantic convoy defence in continuation. Withdrawn from convoy defence duty and used as an Accommodation Ship. Accommodation Ship duties in continuation. 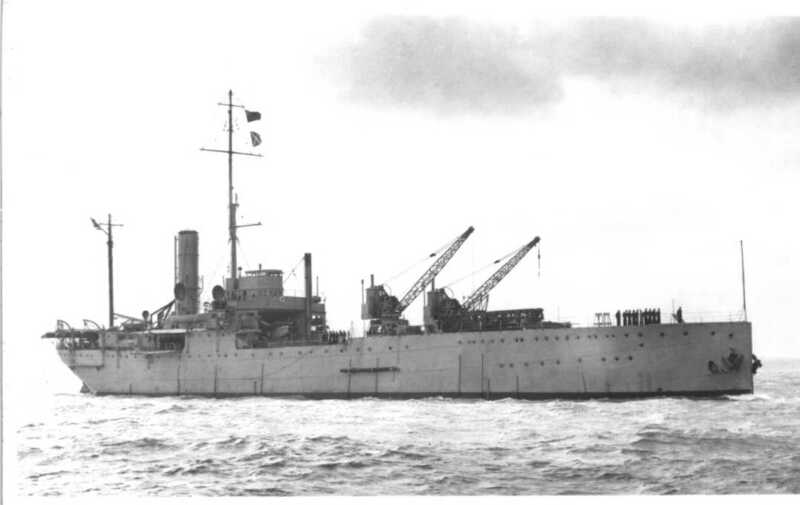 HMS PEGASUS was placed on the Disposal List and sold for mercantile use on 18th October 1946. She was renamed ANITA until April 1950 when she sold for breaking-up by T W Ward. The ship arrived at the breaker's yard in Grays, Essex on 14th April 1946.